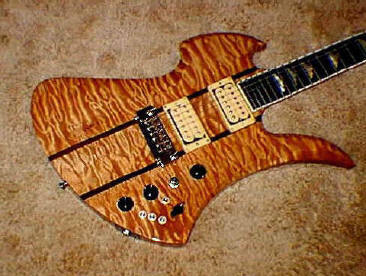 I carry all types of guitars that are made from all kinds of woods but aesthetically most people favor Quilted Maple. 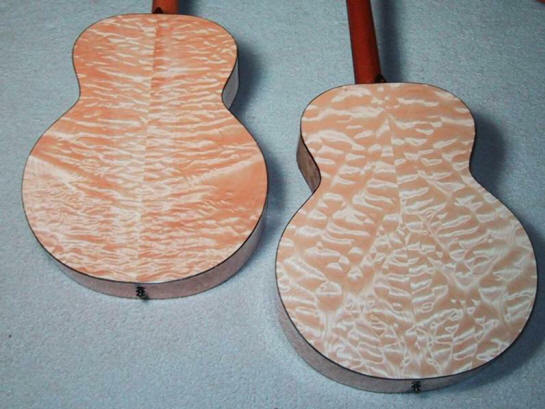 There are many types of Quilted Maple and different people who work in the wood industry have given the different variations many different names and designations. The reason for this page is so that my customers will have a starting point to describe the type of Quilt that they prefer. Also I wish to educate my customers so that they will know what to watch out for when they are buying an instrument. For example some companies offer beautiful tops but they might not be real. 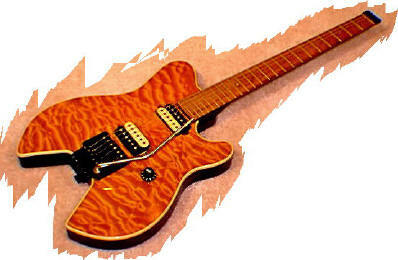 Fender for a while, affixed a large photograph to the top of their guitars to simulate flame "Foto Flame". 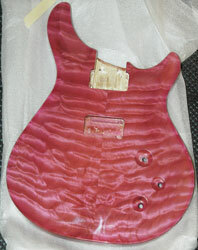 Brian Moore guitars still uses a bent piece of veneer to simulate a carved arched quilted top (Buyer Beware). 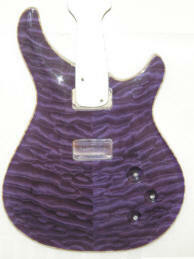 Ibanez, Lak-Land and many others also use paper thin veneers to simulate a beautiful Quilted Maple Guitar, (Buyer Beware). There is nothing wrong with this except in the case of Lak Land for example they are charging ridiculous prices for supposedly handmade instruments. 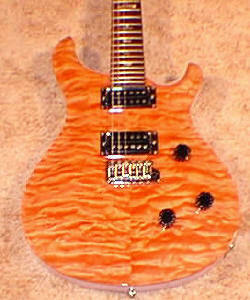 This Guitar has been called a "PRS on Steroids"
$100.00 awarded to anyone who can find a better deal than a Baker !!! 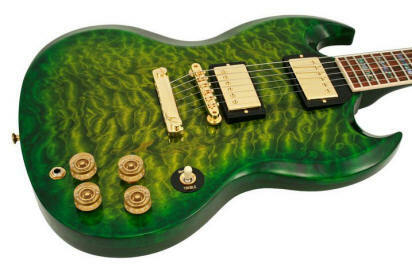 Matching Headstock, Tone Pros Bridge, Push Pull Pots, Bound Body & Neck, TKL Hard Shell Case. Top Model is "The Earlewood" The Bottom one is the King of the Singlecuts "The Caldera"
If you like this classic shape?? I wanted a nicer quilt so I retopped it. 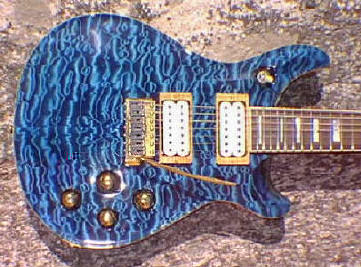 A friend of mine took the PRS factory tour in 2001. 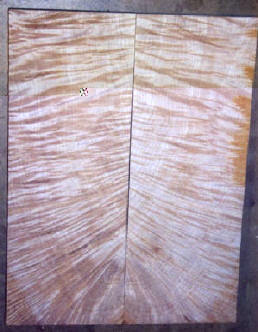 The tour guide said to the crowd of about 12 people that "PRS has a monopoly on all of the good quilted wood". He went on to say "That all the wood dealers save all their best pieces for PRS". Well look around my website a little and that should dispel that BS story. 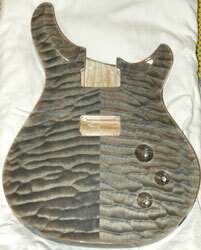 The true fact of the matter is I buy wood from most of the same vendors that PRS does. I have told these dealers that I will outbid PRS by a minimum of $50.00 per billet. 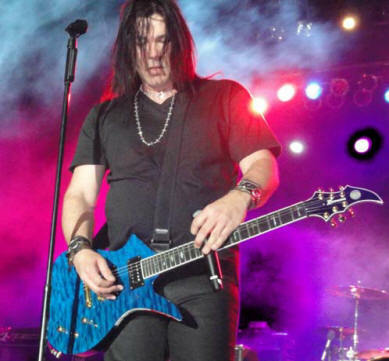 In fact these dealers will call me when they get a 500 piece order from a company like Gibson or PRS and offer me the best of the whole pile. I will gladly pay a higher price, In fact I have no use for mediocre wood at all. My customers all want the real deal. 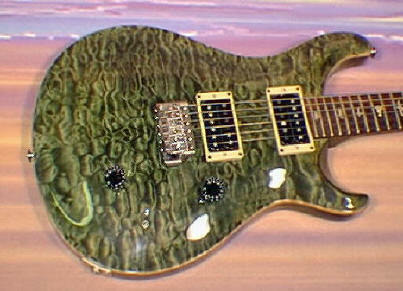 The actual fact is PRS gets a lot of the wood that I have no use for. Granted they are still going to get some great pieces !!! But it really frosts my balls when some nerdy little tour guide makes a statement to people that is simply Bull$hit.